"This country is becoming unglued. We're in the stage of a revolution here." 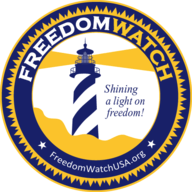 Attorney Larry Klayman of Freedom Watch says an "alternative government" in the intelligence community continues to target President Trump for the purpose of overthrowing his administration. "These intelligence agencies are more powerful than the president himself." Obama is the "Wizard of Oz" working behind the scenes against Trump, Klayman says.